Glitz and glamour, legendary hockey stars and vibrant colours amid a crazy crowd put global spotlight on the state as Chief Minister Naveen Patnaik declared the Odisha Hockey World Cup 2018 open at the jam-packed Kalinga Stadium in Bhubaneswar on Tuesday. 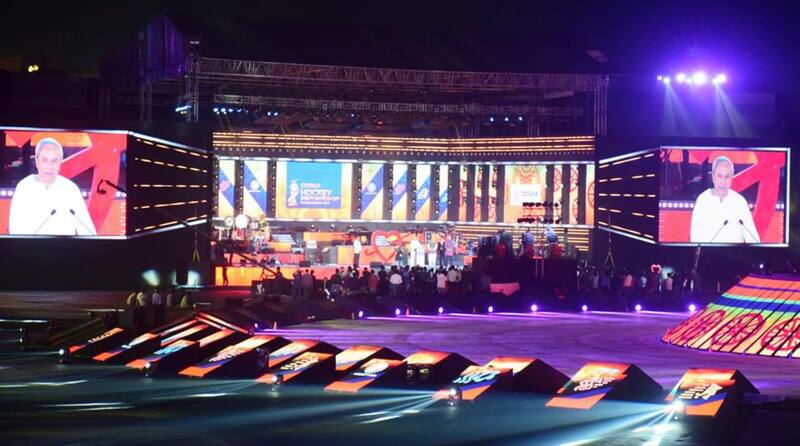 The grand opening ceremony witnessed a eclectic mix on the stage — captains of all 16 teams, legendary player Ajit Pal Singh and winners of the 1975 cup, music maestro AR Rahman, megastar Shah Rukh Khan, and Madhuri Dixit among others. The crowd jived to hockey anthem, Jai Hind Hind, Jai India, played by AR Rahman. With television coverage extending to over a 100 countries, Odisha was well and truly on global spotlight visavis a sport that is played with passion across the state, and especially in the tribal belt. Chief Minister Naveen Patnaik could have asked for more when each one on the stage hailed him for setting a path as it is for the first time that a state government has sponsored a hockey team for five years and partnered in the World Cup. 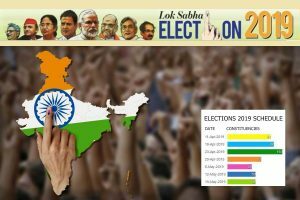 “The CM was a hockey goalkeeper in his school days and today he is setting higher and higher goals for his state,” said compere Gaurav Kapoor as he called Patnaik on the stage. Speaking on the occasion, Shah Rukh Khan said in his witty style he had played as centre-forward and now he had a goalkeeper (the CM) in front to beat. N Batra, president of the International Hockey Federation, termed the opening ceremony of the Odisha Hockey World Cup 2018 the best ever compared to all 13 previous editions of the tournament. “The Kalinga Hockey Stadium is one of the top three stadia in the world and Bhubaneswar is soon turning out to be the sports capital of the country,” he said. In his brief address, Naveen Patnaik asked the crowd: “Are you happy?” And added soon: “I am very happy.” He told the international attendees they were “guests of all 45 million Odia people who are known for their warmth and hospitality”. Over the next 18 days, each team will battle it out fiercely on the field. 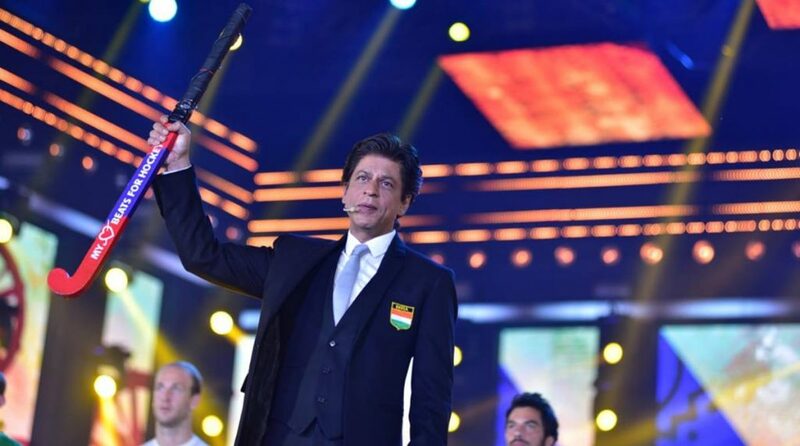 Shah Rukh exhorted the players to “play your hearts out”. “Sports is celebration of life, it uplifts human spirit and brings about oneness as humans. Odisha has shown the way to the world,” he added. “Hockey is India’s sport, it is our sport,” said SRK. Next came Madhuri Dixit with an ‘Earth-themed’ performance, which was a fusion of eastern and western dance styles. As many as 800 students performed with her. 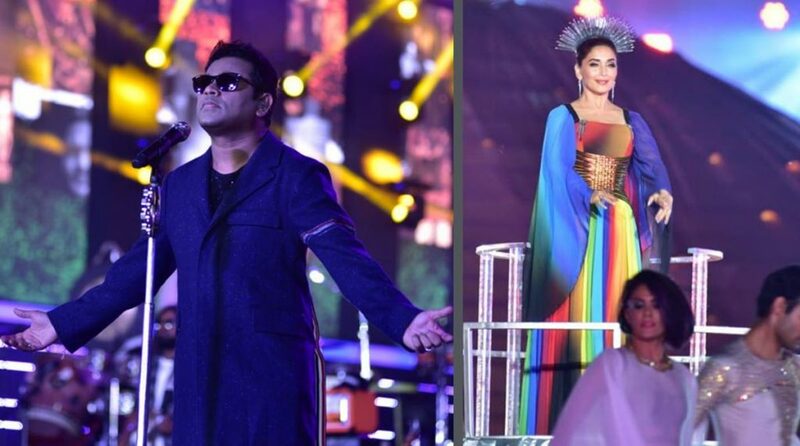 AR Rahman with his music and vocals had the entire audience cheering all the way till late evening.